In 1998, Tim Frohlich stepped into a virtually unknown estate and shaped it into one of the top Nahe estates in a very short period of time. Tim is a master of indigenous yeast fermentation. 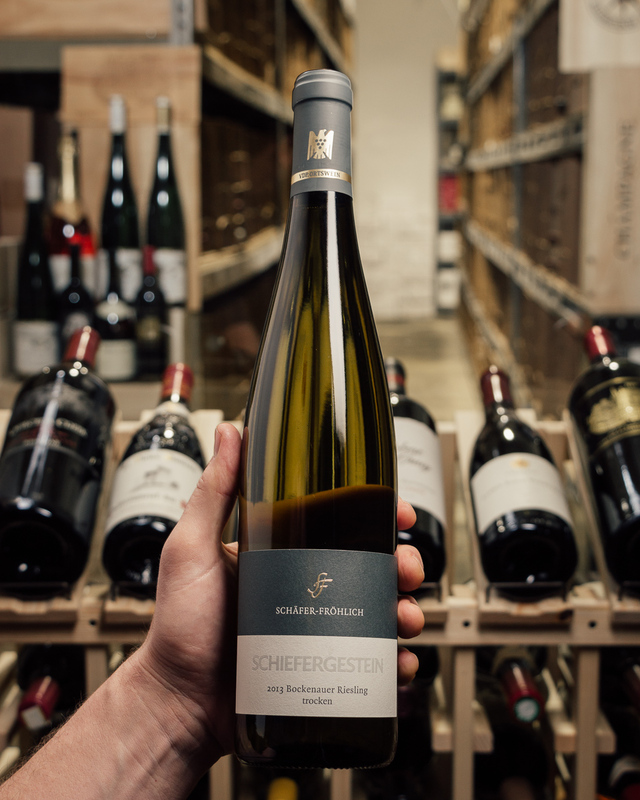 His GG wines continuously garner some of the highest scores in Germany and his noble sweets and Eisweins are some of the finest produced anywhere. 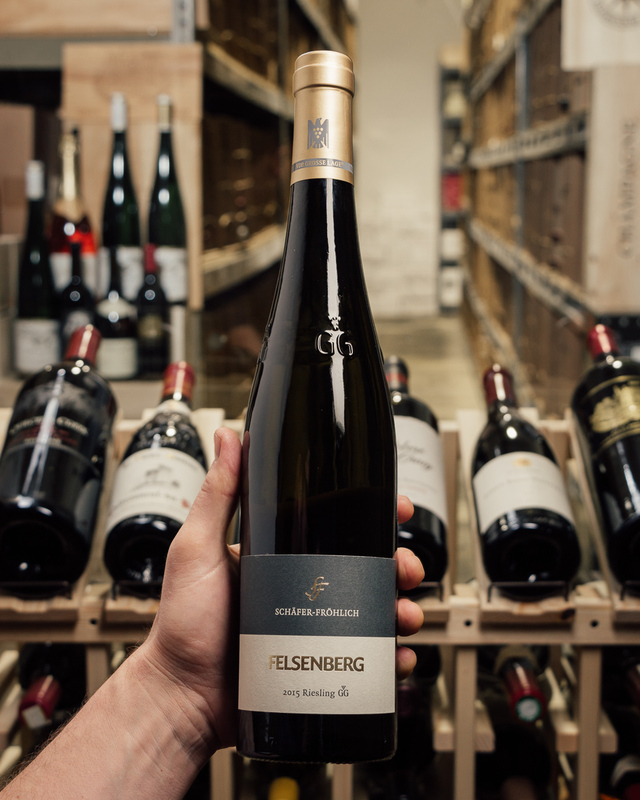 The 2015 Felsenberg Riesling GG is from volcanic soils and a more narrow part of the valley where the fog stays longer than in Bockenau or Monzingen, so that the smoother skin leads Tim to an earlier picking. The wine opens very precise and flinty, but also fruity, with some yeasty flavors. It seems to be darker or more smoky flavored than the corresponding Kupfergrube. 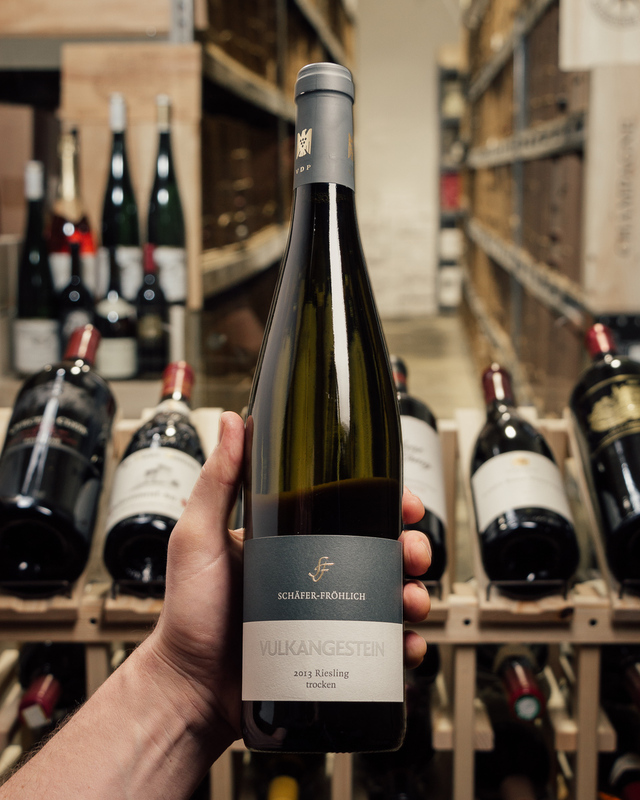 On the palate, this is a rich, very concentrated, precise and piquant Riesling with a long and intense aftertaste. The wine combines its ripe apple flavors with flinty aromas and shows great grip and salinity. The grapes were picked at lower potential alcohol levels than five years ago, but they were still ripe and rich enough for another impressive grand cru from Tim Frohlich.